Kufuki is the corporeal music unit formed by Konno (electronics),Saito (syn) and Toshimasa (vo・G). 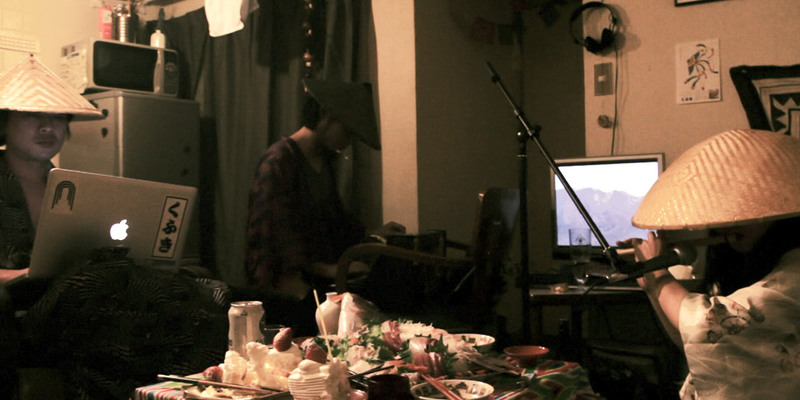 Konno plays drums, Saito addsthunder to it and Toshimasa manipulates it with the vibration. Thenthey just follow the vibe to create the music linking to all other music around the world. Their style of making music is so unique andeven generates a whole another music dimension. spirits and the strong world music rhythms that is ripened by the cultural climate of Japan”. The key is progressiveness and the great sense of POP. full-album “Kufuki” in 2012.Their major hits are “Daihakuryoku” and “Kosen”. Their overwhelming live-performance with Japanese clothing isdefinitely worth to see. The music video of “Daihakuryoku” is a controversial classic. Check it out.